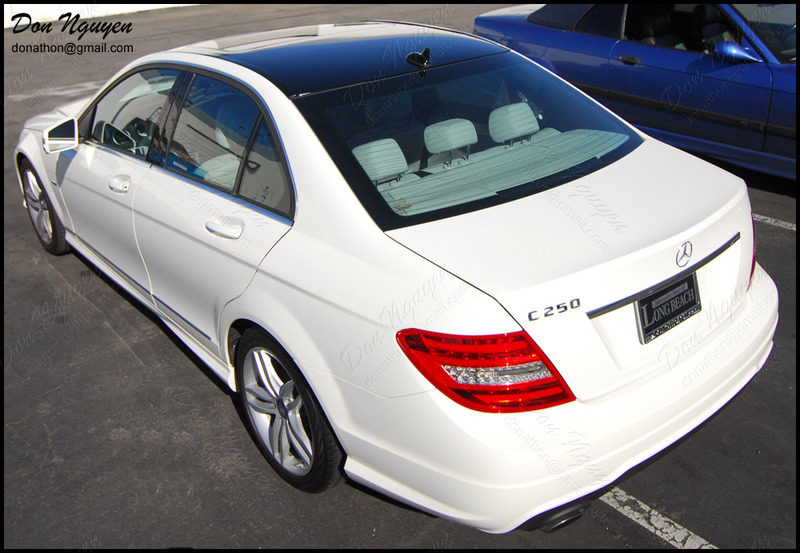 I vinyl wrapped the roof of this brand new white Mercedes Benz C250 with my gloss black vinyl material. The owner of this car was from around the Los Angeles/Torrance area and drove out to me in Orange County to have his roof done. It's always fun seeing new car models/face lifts come out and come by to get some vinyl work done.